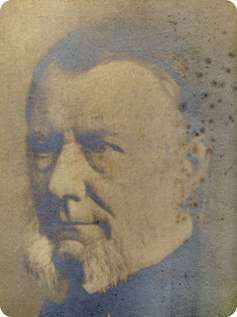 The holder of the Jacksonian chair in the early nineteenth century was the Reverend Robert Willis. Willis was the first Cambridge professor to win an international reputation as a mechanical engineer. He was a brilliant lecturer, illustrating his lectures using working models that he had designed and constructed. He published a full description of them in a book entitled 'A system of Apparatus for the use of lecturers and experimenters in Mechanical Philosophy' in 1851. This is available in the Department's library. This gives details allowing the models to be exactly copied. He was in contact with many of the leading scientists and engineers of the time such as Thomas Telford, the great builder of roads, bridges and canals. There were those who wanted to see civil engineering accepted as a new Tripos subject at Cambridge and Willis to be appointed as Professor of Engineering. Willis himself, however, showed no desire to undertake the thankless task of setting up a school of technology, for which he felt the University was not ready. A wise decision as it turned out. Willis was a talented musician, a good draughtsman and his chief hobby was the study of ancient buildings. Photograph courtesy of the Master and Fellows of Gonville and Caius College, Cambridge.